Hello fans, if you are banking with Diamond bank, you can now check your diamond bank account balance with diamond care, just only with a dial on your phone. As you may know, the service of checking this diamond bank account is only provided for their customers. Now, there is no need of stressing your self going to an ATM center or searching for Internet access in order to carryout this task. It's a service that works correctly for 24 hours. How To Recharge And Get Airtime From Diamond Bank Account. 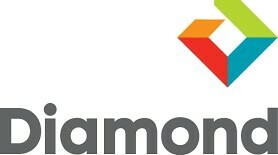 Diamond Bank To Introduce Diamond Online Self Service Options For Their Customers. How To Check Your Bank Verification Number(BVN) With Your Phone. instant deactivation of your bank ATM card, also able to make enquiries among others too etc. 6. After that, you will be required to change your Self Service code to any 4 digit code which you can remember easily in case of next time. 7. immediately after you change the code, the account balance associated to your debit card will be sent to you, provided you used the number registered with your diamond bank account. 8. You can as well request your account balance to be sent to your registered phone number instantly through SMS by also following the voice prompt. What if diamond bank have not sent The Self Service Code To Me? If that is the case for you, then call this number 0700-300-0000 and press '0' to speak with a Service Consultant. And your self service code will be sent to You immediately. Note: Ensure to secure your self service code for security reasons. Got any contribution or question regarding to this post? Kindly, Use the comment box.